Today my card features a cute Christmas Tree stamp from Imaginisce. I love Imaginisce stamps. They are so affordable! 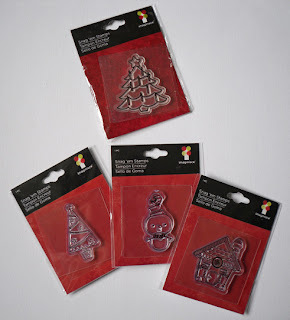 They're usually around $3 each with 1 stamp in each package. I'm starting to build my own little Christmas collection as you can see below. I've used the top stamp on my card. 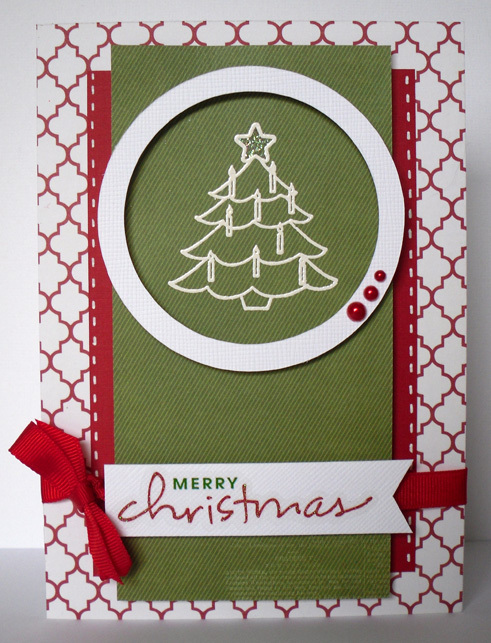 Supplies used: Imaginisce Christmas Cheer Candle Tree stamp, Very Merry papers by Echo Park, Kaisercraft Pearls in red.